What is with the rollers in her hair? were you just curling the ends or was she just being silly? Emily has that exact same robe. She loves it!! 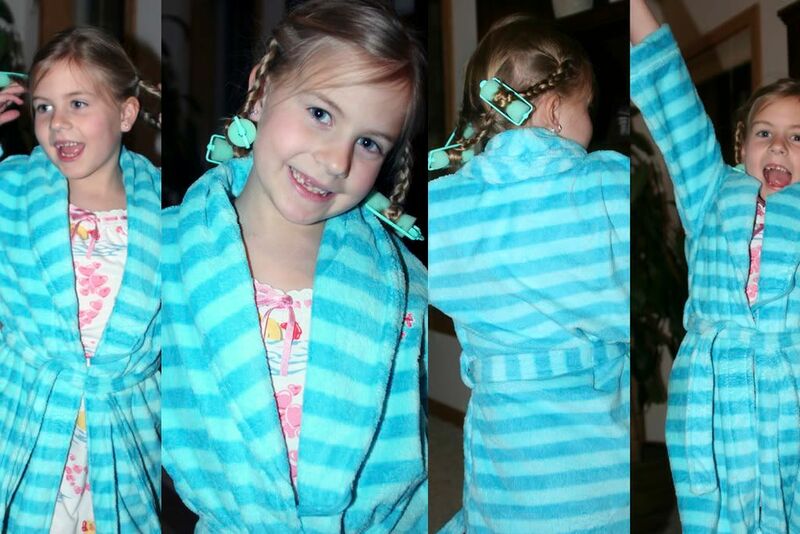 She wanted curly hair, but I didn't want to curl it all over, so we braided it and just put rollers on the ends. Didn't your mom ever do that to you as a kid?